If you are seeking days exploring on Big Five safaris and nights spent sleeping under glorious and romantic canvas then we highly recommend staying at Springbok Lodge. Harking back to a bygone era of exploration Springbok’s tented accommodation is fully appointed, luxurious and discretely spaced out with lovely views across the bush. 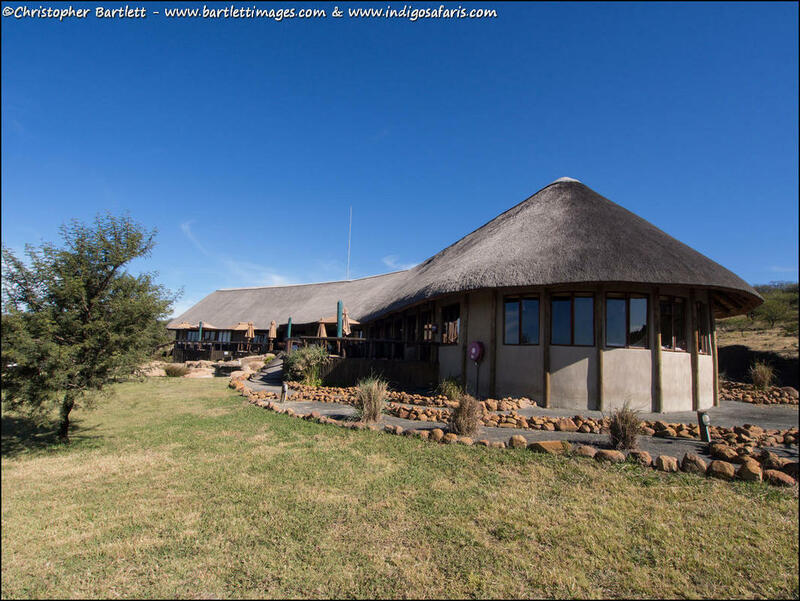 The Springbok Lodge team pride themselves on providing the perfect tented safari experience with beautifully appointed tented suites, service excellence (we were particularly impressed by their Field-Guides and hospitable approach towards families), superb cuisine and prolific wildlife. Nestled in the heart of the KwaZulu-Natal battlefields, the lodge offers guests a chance to unwind in comfort within the bush. Well positioned on the main route between Johannesburg and Durban, Springbok Lodge is a four-and-a-half hour drive from Johannesburg and three-and-a-half hour trip from the coastal city of Durban (Indigo Safaris can organise a multi-activity package which includes diving at Umkomaas which is approximately half an hour’s drive from Durban. Contact us for tailormade itineraries). The central Drakensberg mountains are only one-and-a-half hours away by road. Indigo Safaris can organise treks of various lengths to the key peaks and sights in the Drakensberg. Although the Big Five experience alone is enough to attract many visitors, guests staying at Springbok Lodge also enjoy a different sort of camping. 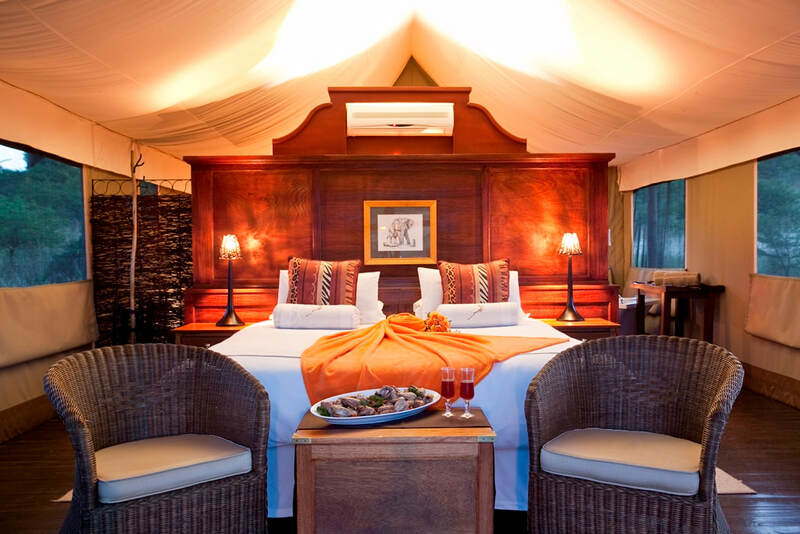 The lodge has 15 elevated Luxury Tents which sleep a maximum of 30 guests. The tents are air conditioned in the warm summer months and heated in the chilly winter ones, with electric blankets keeping guests extra snug (when we visited in May our babies travel cot even received a turndown service and was pre-warmed with a hot water bottle whilst we all enjoyed a braai in the boma under the stars). The lodge has achieved an AA Superior Accommodation Accreditation for the past three years. 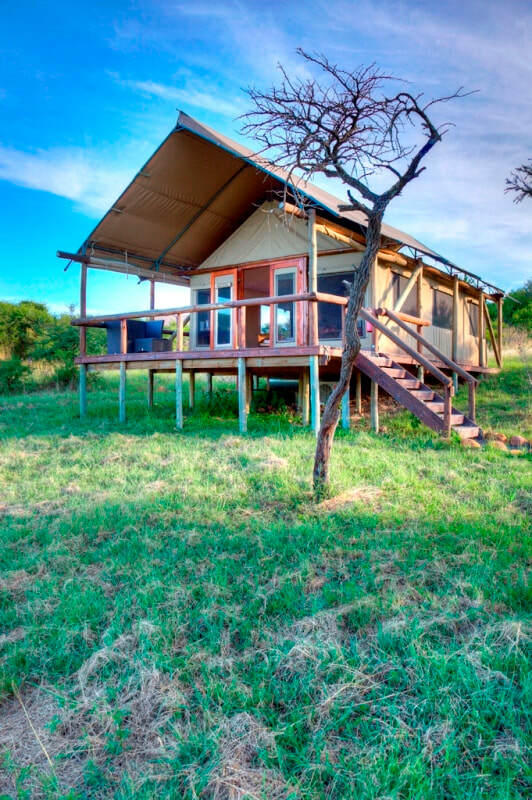 Each elevated luxury ensuite tent has a furnished viewing deck outside whilst inside the tents you will find a king-size bed (also available as twin beds), lovely large baths and beautiful exterior open-air showers. Every tent is also provided with a hospitality tray, a generous amount of complimentary sherry, safety deposit box and a hairdryer and there is a nightly turndown service. Guests with wheelchairs or certain special mobility needs will enjoy Springbok Lodge as the lodge is wheelchair accessible and two of the tents, adjacent to the lodge, are equipped with an access ramp instead of stairs. The main lodge and boma are accessible by wheelchair and the lodge has a wheelchair-accessible plunge pool. 4-day Kwazulu Natal Safari in Nambiti with Springbok Lodge from 6390 ZAR per person including return Durban transfers, 3 nights’ full board accommodation with morning and afternoon game drives. 11 nights’ bed and breakfast accommodation, 12 reef and wreck dives, 4 baited cageless shark dives, 3 nights’ full board accommodation in a safari lodge with morning and afternoon game drives in Nambiti Big 5 reserve, rental vehicle. Shark species possible, depending on seasonal variations: Tiger, Hammerhead (scalloped and great), Bull, Sand-tiger, Oceanic Blacktip, Dusky, Bronze Whaler, Whitetip reef, Guitarshark. The area is also good for a number of ray species including round ribbontail, eagle, diamond, and sometimes manta rays.